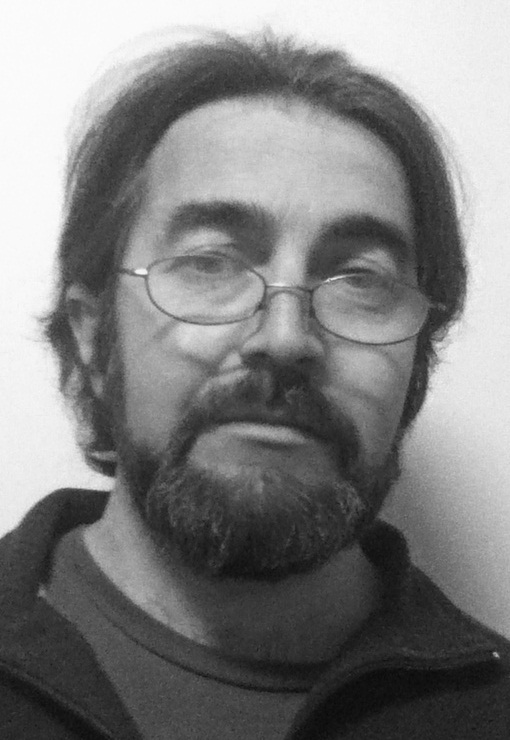 Born on the South Island of New Zealand and now living on the North Island of Australia, Simon Petrie is a Canberra-based writer of speculative fiction (SF, fantasy, and occasionally horror). Since 2007, his stories have appeared in magazines such as Andromeda Spaceways Inflight Magazine, Aurealis, Kaleidotrope and Sybil’s Garage, webzines such as Redstone Science Fiction, AntipodeanSF, Semaphore and Dimension6, and anthologies such as A Hand of Knaves (ed. Shallcross and Large, CSfG), Anywhere But Earth (ed. Stevenson, coeur de lion), and Belong (ed. Farr, Ticonderoga Publications). His novellas (Flight 404 and Matters Arising from the Identification of the Body: a Guerline Scarfe investigation) and short fiction collections (Wide Brown Land: stories of Titan, Murder on the Zenith Express: the Gordon Mamon collection and 80,000 Totally Secure Passwords That No Hacker Would Ever Guess) are available instore and through numerous online retailers. Simon is a member of the Canberra Speculative Fiction Guild and of SpecFicNZ, and a former member of the Andromeda Spaceways publishing collective. For Andromeda Spaceways Inflight Magazine, he has acted as editor of issues 35 (May 2008), 40 (August 2009), 51 (June 2011), 54 (June 2012), and 61 (June 2015). He has co-edited three anthologies of short fiction: Light Touch Paper, Stand Clear (with Edwina Harvey; Peggy Bright Books, 2012), Next (with Robert Porteous; CSfG Publishing, 2013), and Use Only As Directed (with Edwina Harvey; Peggy Bright Books, 2014). He has served on three different judging panels for the Aurealis Awards, in the SF Novel, Anthology & Collection, and Fantasy Short Story categories. His work has received numerous nominations for the Aurealis, Ditmar, and Sir Julius Vogel Awards, and he has won the Sir Julius Vogel Award three times: in 2010 in the Best New Talent category, and in 2013 and 2018 in the Best Novella / Novelette category, for Flight 404 and Matters Arising from the Identification of the Body respectively.